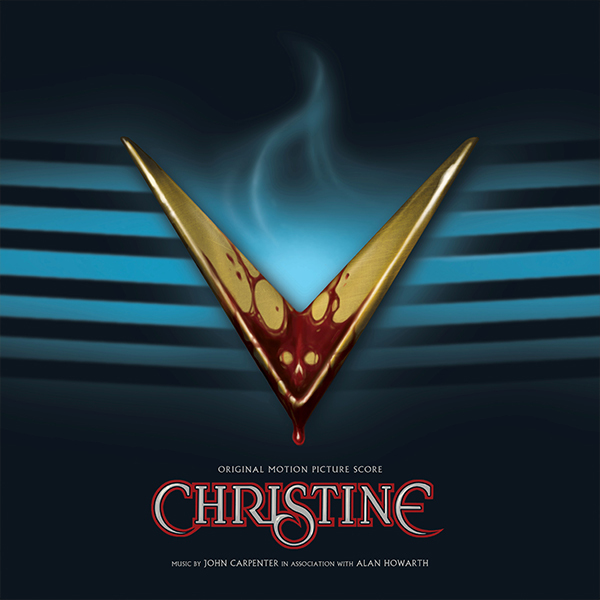 Varèse Sarabande will release John Carpenter’s classic score for CHRISTINE on LP available September 29, 2017. 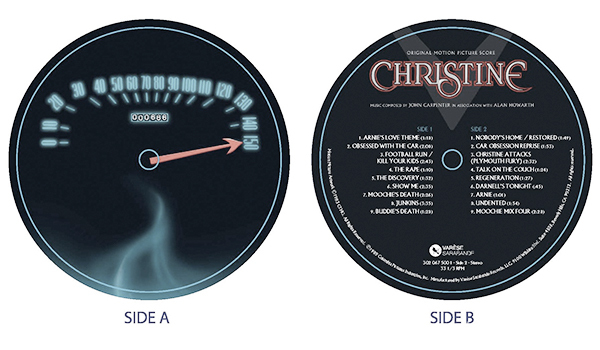 The CHRISTINE– Original Motion Picture Score has been fully remastered and is being released on blue vinyl. The album features fantastic new art from award-winning movie poster artist Gary Pullin (“Ghoulish Gary”). In the past few years, there has been a tremendous upsurge in interest for John Carpenter's signature score compositions following the success of the Carpenter's Lost Themes and Lost Themes II albums, and subsequent tours. The rare director-composer combo, Carpenter’s scores for his classic horror films are a favorite of electronic music aficionados. She was born in Detroit on an automobile assembly line. But she is no ordinary automobile. Deep within her chassis lives an unholy presence. She is Christine, a red and white 1958 Plymouth Fury whose unique standard equipment includes an evil, indestructible vengeance that will destroy anyone in her way. She seduces 17-year old Arnie Cunningham (Keith Gordon) who becomes consumed with passion for her sleek rounded chrome-laden body. She demands his complete and unquestioned devotion and when outsiders seek to interfere, they become the victims of Christine’s horrifying wrath. John Carpenter brings Stephen King’s best-selling novel to life in this chilling thriller.